Beth attended Michigan State University and graduated with a Bachelor Degree in Human Biology. She will be applying to College of Veterinary Medicine in the near future. Her special interests are diagnostics, pathology, and dermatology. When Beth is not studying she enjoys traveling, watching movies with her Beagle mix Huey, and spending time with family and friends. .
Brianne attended Stautzenberger College and got her Associate Degree of Applied Sciences in Veterinary Technology. She is Fear Free Certified and one of our Primary Technicians. Her special Interests include surgery, emergency medicine, and extra large/winter breed patients. Outside of work Brianne spends time with her cats Lando Landerson and Beelow Mishka, plays with her huskies Bauer Chima and Jofa Malin, DIY projects, soccer, and enjoys being a new mother. Brittni attended the University of Toledo and got her Bachelor's Degree in Biological Science. She is currently applying to Veterinary Colleges. Brittni is Fear Free Certified and has a special interest in behavior and surgery. In her spare time she likes to paint, volunteer at local animal shelters, and play with her lab mix Beasley and irish setter Skooder. Christel attended Baker College, earning her Associate Degree of Applied Sciences in Veterinary Technology. She is Fear Free certified and has special interests in anesthesia, behavior, and clinical pathology. Christel enjoys playing with her lab mix Scarlett, relaxing with her cats Tipsy, Mater, and Harvey, and spending time with her husband Andy, son Nolan, family, and friends. Heather attended Michigan State University and got her Bachelors of Science in Veterinary Technology. Her special interests include inventory management, diagnostics, and pharmaceuticals. Outside of work she read with her cats Bastet and Malakeen, gardens, plays computer games, and Star Wars costuming. Kristin attended Wayne County Community College and earned her Associate Degree of Applied Sciences in Veterinary Technology, and is Fear Free Certified. She takes a special interest in clinical pathology and diagnostics. You'll often find Kristin enjoying time with her cats Smokey and Remington, throwing the ball for her Australian Shepard Wrigley, working out, camping, and having dinner with friends. Laura attended Wayne County Community College and got her Associate Degree of Applied Sciences in Veterinary Technology, and is Fear Free Certified. She has a special interest in Veterinary Rehabilitation Therapy and clinical pathology. Outside of work Laura goes horseback riding on her Quarter horse Roxy, plays with her Mini Australian Shepherd Charlie and Bichon/poodle mix Tucker, bowls, and spends time with friends and family. Maegan attended Wayne County Community College, Associate Degree of Applied Sciences in Veterinary Technology, and is Fear Free Certified. She has been with GVH for many years, and is our Technician Team Leader and a Primary Technician. Her special interests include behavior, surgery, dental hygiene, client education, and bully breed canines. Maegan loves being outdoors with her pit bulls Sadie and Raven, spending time with her cats Moe and Miko, boating and camping with family and friends. Samantha attended Baker College Veterinary Technology Program. She is Fear Free Certified and enjoys diagnostics and feline medicine. In her spare time Sam enjoys playing with her 3-legged Newfoundland mix Triton and lab Ruby, spending time with her cats Mickey and Booger, doing makeup, and playing video games. Sara attended Baker College, Associate Degree of Applied Sciences in Veterinary Technology. She is Fear Free Certified and one of our Primary Technicians. Sara has a special interest in surgery, diagnostics, and client education. When she's not working Sara enjoys watching movies, going to concerts, spending time with her cats Sebastian and Lilly, and hanging out with friends. Susan is one of our Primary Technicians. 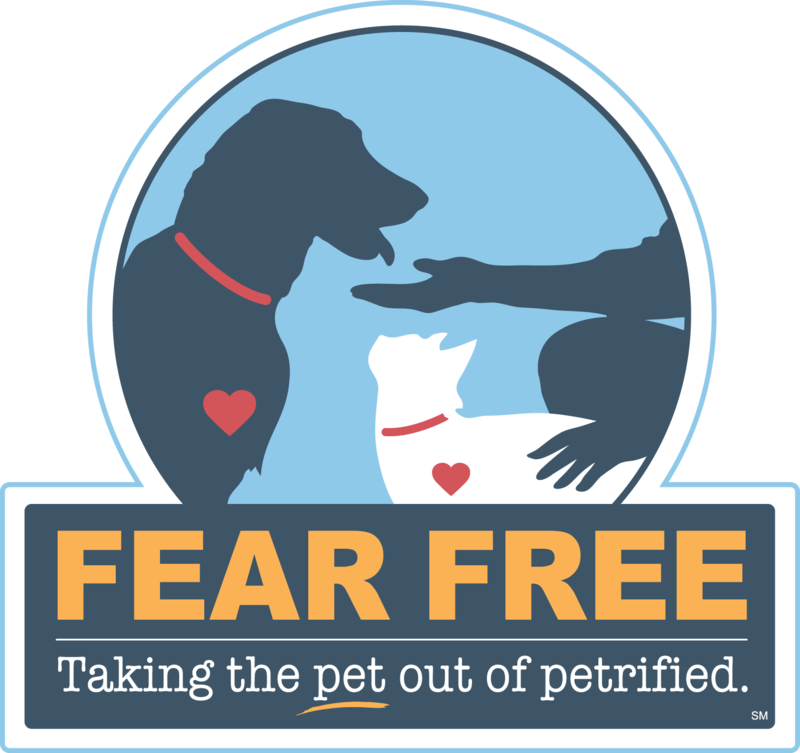 She is Fear Free Certified and has over 25 years in the Veterinary and Specialty fields. Her special interests include surgery and canine behavior. Outside of work she enjoys spending time with her Newofundland mix Grayson, Bulldog Colt, and Belgian Malanois Wiley, creative projects, motor sports, and fishing. Annie’s interest in the veterinary field and customer service brought her to GVH. She currently attends Baker College in the Veterinary Technology Program. Activities outside of work and school include walking with her Labrador Sadie, working out, and hanging out with family and friends. Before her career in customer service Bettina earned her degree in Cosmetology. She now regularly attends Continuing Education Seminars in customer service, leadership, and management. During her free time she enjoys reading with her Shih-tzu Tasha, baking sweets, and working on home improvement projects. Jackie was one of our first customer service representatives to become Fear Free Certified. She has a special interest in customer service. This has led her to begin pursuing a degree in Business Management. Outside of work Jackie spends time with her children and husband, crafts, watches movies, and travels. Before her position at GVH, Joyce earned her Masters in Hazardous Waste Management and worked as a chemist and OSHA supervisor. She has become one of our staple Customer Service Representatives and is always there for her team. Joyce enjoys running, traveling, and spending time with her husband and two wonderful children. Kaitlin attended Eastern Michigan University. Her love for customer service, sales, and animals brought her to GVH. When Kaitlin’s not working she enjoys traveling, spending time with her children Emilee and Christian, activities with family, and cuddling with her dog Muffin and cat Oliver. Sam graduated from Baker College in 2016 with a Bachelor’s Degree in Business Administration. At GVH she focuses on administration, customer service, accounts payable, and is Fear Free Certified. She loves spending time with her Australian Shephard Gordie, home diy projects, photography, and spending time with family. Sara currently attends Wayne State University and is studying nursing. Her passion for the medical field and customer service brought her to GVH. In her spare time Sara enjoys going up north with her chihuahua Miggy and spending time with family and friends. Britney is currently enrolled in the Veterinary Technology program at Penn Foster College. Her passion for the veterinary field lead her to the GVH lodging department. Britney loves the veterinary field because she learns something new everyday and has a special interest in bulldog breeds. When she's not studying Britney enjoys walking her pit mix Blue, boxer mix Rex, and maltese Nickola and spending time with family. Katie attends Eastern Michigan University and Washtenaw College with plans of pursuing her dream of becoming a Veterinary Technician. Her love of all animals lead her to a job here at GVH. When Katie is not working she enjoys spending time with family and friends and taking her two dogs Kora and Kiki for long walks. Lisa has been with GVH in our lodging department for over 12 years and is our Lodging Team Leader. Her favorite part of the job is bonding with the lodging pets. This has led her to become Fear Free Certified, and take a special interest in behavior, Canine Massage Therapy, and Pet Rehabilitation. During her free time Lisa enjoys relaxing with her Pomeranian Remy, Dachshund Lucy, and Pom/Dachshund mix Daisy, shopping with her daughter Shanna, spending time with her husband Rick, playing with her grandchildren Ayden and Audriana, and listening to music. Melanie has been involved in the grooming industry for over 20 years. She started showing and grooming dogs at a young age and trained under professional handlers for many years. Currently, Melanie shows her English Springer Spaniels Hughy and Channing. Melanie also enjoys spending time with her husband Matt and daughters Mackenzie and Madison, playing softball, volleyball, and attending craft shows. Morgan has been grooming dogs and cats for over 10 years. She is Fear Free Certified and also attends local grooming seminars for continuing education. In her spare time Morgan spends time with her husband and two daughters, volunteers with her church, and stays active with her dog Wesson, cat Paris, tortoise Shelby, and her 22 chickens (Olaf pictured). Sherrill started grooming with GVH over 28 years ago. She is adored by all of her clients and their pet’s. Outside of work Sherrill enjoys spending time with her family, 3 dogs, and 2 cats, and doing crafting projects.